Your wedding will be one of the most important days of your life. What better way to personalize that day than by having live musicians playing carefully selected music! Schedule a consultation with me, and I will help you create a personalized play list of traditional wedding songs, meaningful personal favorites, and even original music composed specifically for your special day. Your wedding day is uniquely your own; why should it sound just like everyone else’s? If I write an original composition for your wedding, I will also provide a CD and a written copy of the sheet music. I can also help you choose the right size group and the right musicians to play for your wedding. We will work together to select the ensemble that best fits your style and budget. 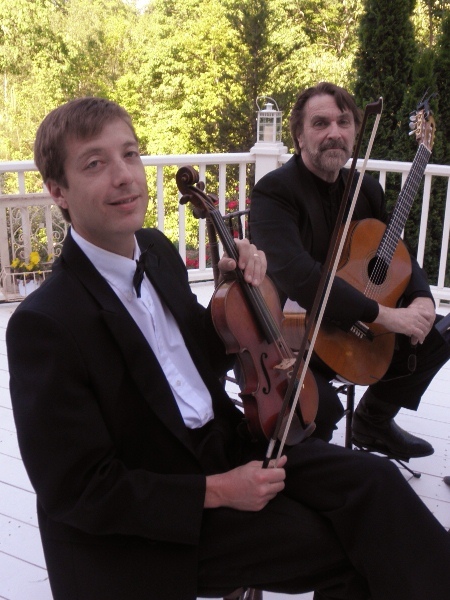 Click the title below to hear an example of a violin duo. As a former music student of Craig’s, I was thrilled to reconnect with him and have him play at our wedding in September 2012! Craig was so easy to work with, and helped us pick out the perfect music for our ceremony and cocktail hour. I knew I could count on Craig to deliver a beautiful performance, and he performed above and beyond my expectations! 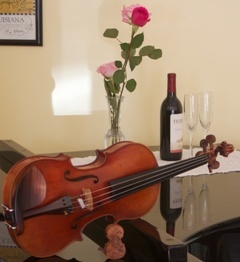 The live string music was the perfect touch to our intimate ceremony, and we received many compliments from guests. I would recommend Craig to any bride who desires the peace of mind that your wedding music will be perfect on your special day! I am also available to perform for receptions and other special events. To receive pricing information for your event, complete the pricing request form! Craig provided the music for our wedding ceremony in May 2009 at the Carolina Inn. In the beginning, we weren't sure we wanted to have live music during the ceremony but are so happy we did! Craig was professional, easy to work with and played beautifully. His music added a special touch and really made the wedding complete. I would fully recommend him to anyone looking to add that something special to their wedding.